Bin Laden is dead. 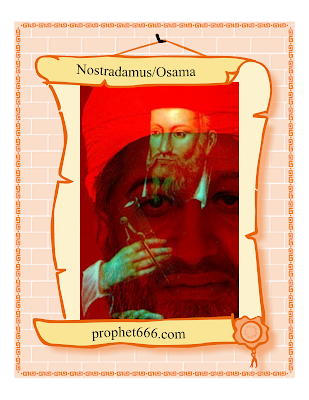 The debate Was Osama Bin Laden Mabus goes on and will go on till the proof is established. The only proof which one wants to see is if the death of this alleged MABUS who was predicted by Nostradamus will trigger off the immense and unprecedented death and destruction. On a lighter note I have prepared an image of Nostradamus visualizing Osama Bin Laden.